Hardwood flooring is both beautiful and durable. The natural beauty and warmth of wood is incorporated in this flooring, with colors and textures depending on the type of flooring used. Hardwood flooring can be sensitive to moisture though, too much will cause warping or discoloration. A great feature about hardwood is it can be refinished over and over to increase its lifespan. 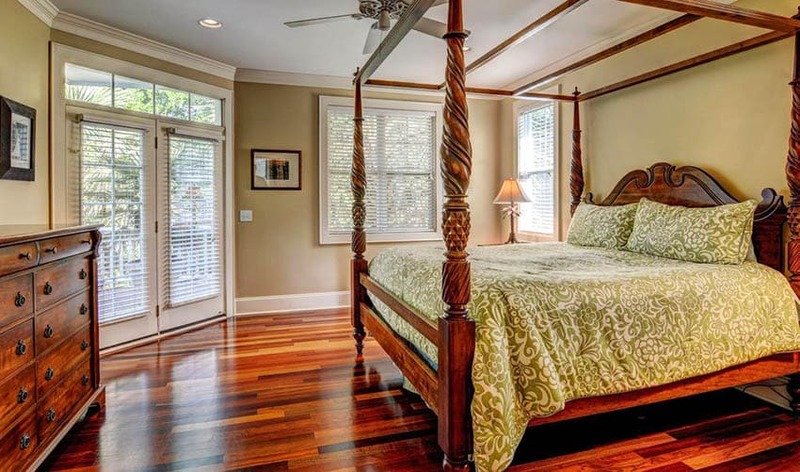 In the U.S those who wish to install hardwood should expect to pay around $3 to $8 a square foot for common types with more exotic hardwoods ranging up to $14 per square foot. Professional installation will typically cost between $5 to $12 per square foot. Read more about the cost of hardwood flooring here. With engineered wood flooring, you get a top veneer of wood that is backed by layers of plywood or recycled wood fiber mixed with stone dust. 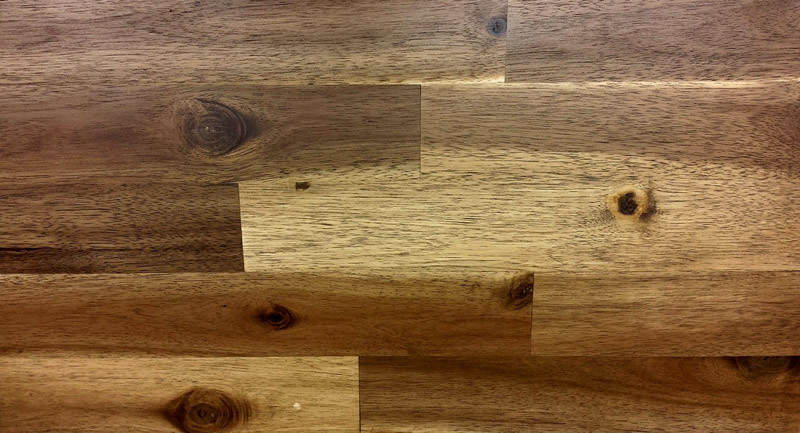 This mix makes for a material that is more stable and less susceptible to changes in temperature or humidity then pure hardwood. Many engineered wood manufacturers create self-locking flooring that clicks together to install without the need for nails or glue. This makes installation much easier then you would think and can save you considerable money in the process. Not to mention modern engineered wood looks very attractive and in some cases near identical to real hardwood flooring. Ceramic tiles are made from a mixture of clay and shale that are baked and hardened in a kiln. Ceramic tiles come in a variety of shapes, colors, sizes and textures and you can mix and match these to create a floor with custom patterns. Ceramic tiles come in four different types which are glazed, porcelain, terracotta, and quarry tile. 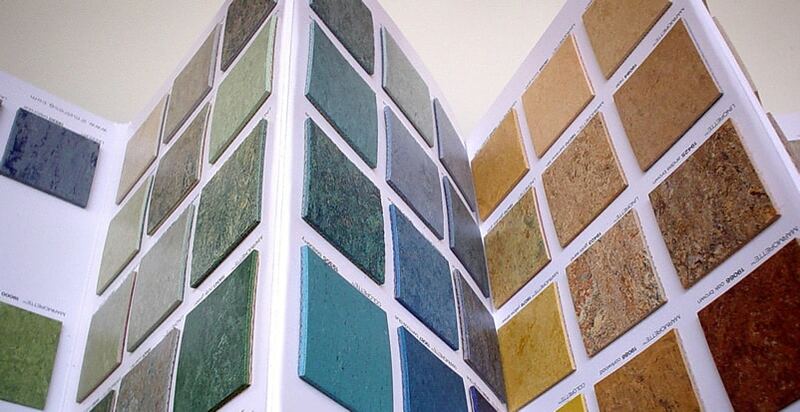 – Glazed tile has a coating similar to glass, with a virtually unlimited amount of colors and types to choose from. – Porcelain tiles is often used in exterior application due to its durability. It can be purchased glazed or unglazed. You can get more information about porcelain vs ceramic tile here. – Terracotta tile is an unglazed tile with a rustic charm. However, being unglazed terracotta needs to be sealed to prevent staining. 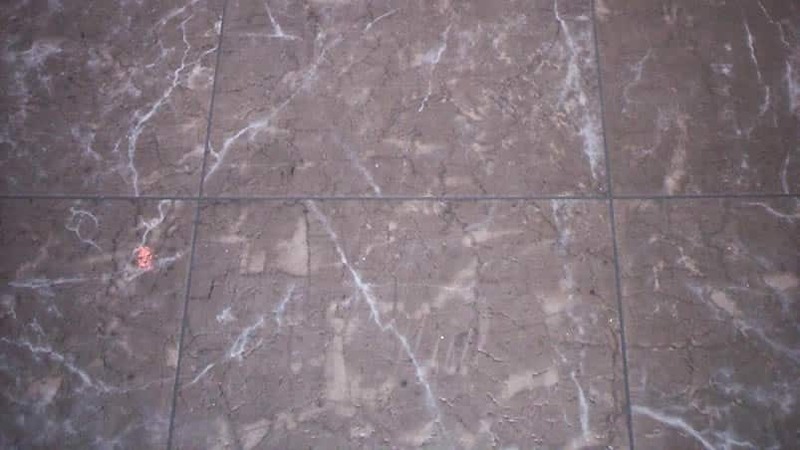 – Quarry tile is an unglazed ceramic usually with a reddish-brown color that has better slip resistance than glazed tiles. 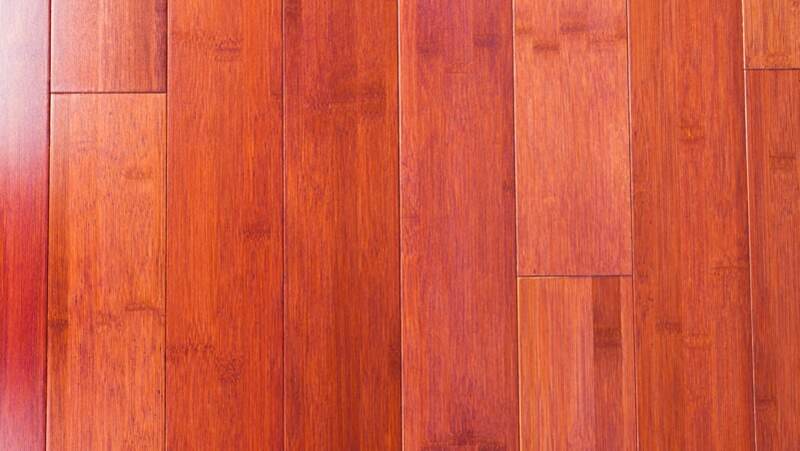 Bamboo flooring is made up of strands of bamboo glued together to form solid strips or planks. Bamboo may look like hardwood but it is actually grass. Bamboo flooring is exotically beautiful, tough and durable. It is considered a sustainable material as bamboo plants grow and regenerate quickly. The cost to purchase and install bamboo is comparable to hardwood flooring. Travertine is a type of limestone that forms around hot springs. Minerals dissolve and reform in layers to create travertine. There are different colors according to which minerals are present. Some color variations are ivory, beige, reddish brown and gold. 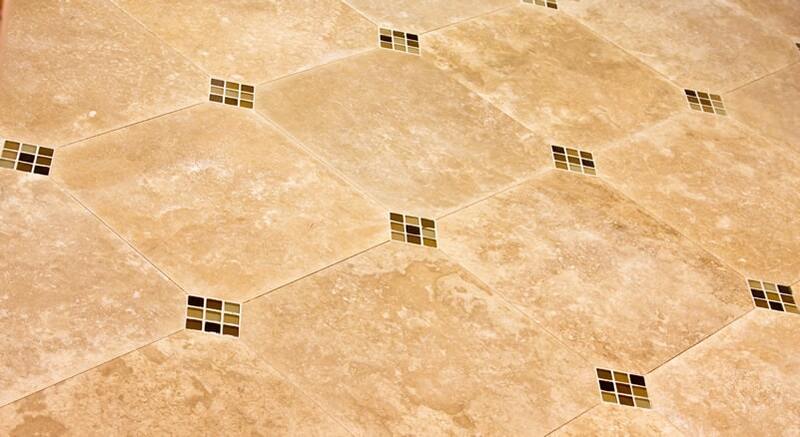 Travertine is easy to cut into many custom shapes. Travertine has been used as a building material since Roman times. Even the world famous Roman Colosseum is constructed almost entirely of travertine. Often used for patios and garden paths it is also used extensively in modern architecture. Common uses inside include travertine showers, façades, back splashes, wall cladding, and flooring. 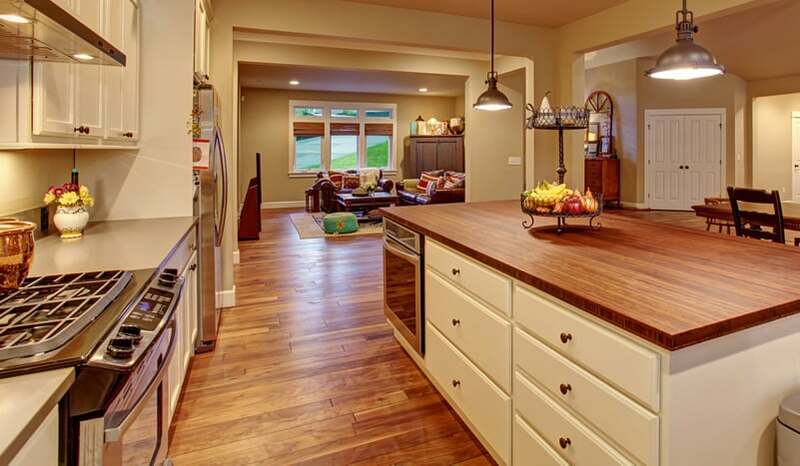 The “workhorse” of flooring materials, laminate is very durable, resistant to stains and fading, and easy to install. Laminate flooring has a top layer protected by a plastic coating and backed by other layers of plywood or compressed fibers. It is quite similar to engineered wood with a top layer backed by plywood or compressed fiber. Laminate can look like real wood or even other materials like stone, tile or concrete and can also come in a variety of colors and patterns. They come packages as planks or tiles and can even be installed on top of existing flooring without using nails or glue. 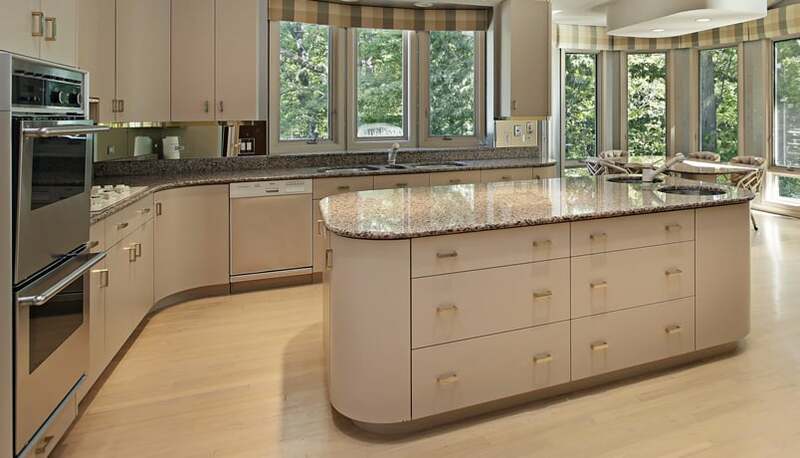 For more details, see some of the pros and cons of laminate vs hardwood here. Vinyl flooring is flexible and slightly soft underfoot – this is because under it is backed by a layer of felt of foam. Despite how they feel though, they are very tough and durable as they have a wear layer on the upper surface that is stain and scratch-resistant. Vinyl is maintenance-free and can come in a variety of colors and patterns. Some vinyl can closely resemble the look of wood or stone to give you the appearance you want. Linoleum is considered a very environmentally friendly flooring choice. This material is made of renewable, biodegradable materials such as linseed oil and cork. Mineral pigments are then added to this mix to create a variety of rich and vibrant colors. Linoleum comes in sheets, laminated planks or tiles. They are usually either glued in place or install as a floating floor design. It is recommended to purchase linoleum that has a protective coating to help prevent staining, and scratching. While linoleum flooring is durable, it will need to be cleaned occasionally like other types of flooring. We’ve created a write up on how to clean linoleum here. 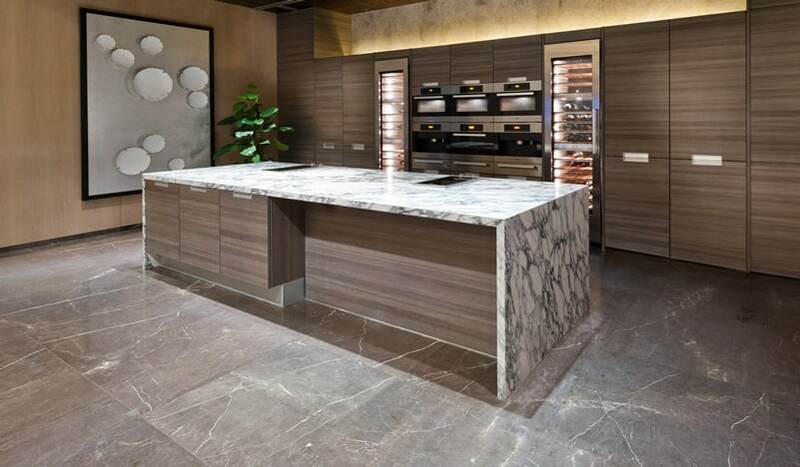 The smooth gloss and subtly colorful veining of natural stone marble flooring gives a room an elegant and high-end feel. Natural stone resists water and moisture but can feel cold and be slippery when wet. Natural stone’s like marble and granite should be sealed every 4-5 years to help resist moisture and stains from occurring. Other stone such as limestone, or sandstone will need to be treated more often. Made from a thick woven fabric, Carpet is one of the most versatile flooring materials you’ll find. Available in a wide variety of colors, textures and qualities it has remained a popular flooring choice for decades. Typically made of woven wool or synthetic fibers such as nylon, polypropylene, or polyester. Nylon is generally considered the most frequently used carpet material due to its excellent durability and availability of different styles. 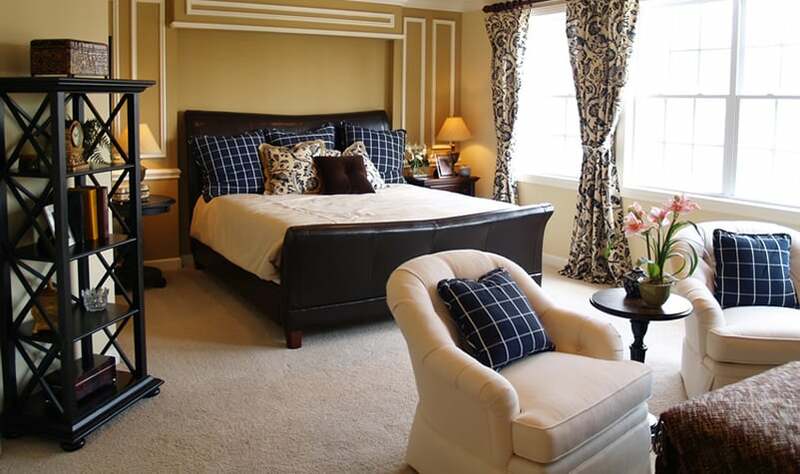 See more types of carpet including their pros and cons here. Choosing what types of flooring to use for each room of your home is an important decision that could very well impact its resale value. When deciding on flooring its important to consider your budget, the current value of your home, and the comparable value of homes in your neighborhood. 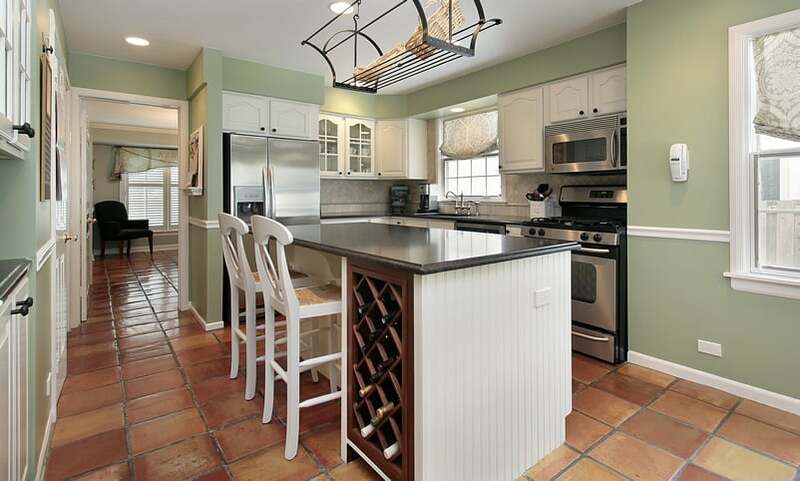 This way you can be prepared to create a remodel budget that includes flooring costs so you can get the most out of your remodel when and if you decide to sell your house. If you would like to plan your next remodel project there are a variety of free interior design software programs that can help you visualize different types of flooring in your floor plan.